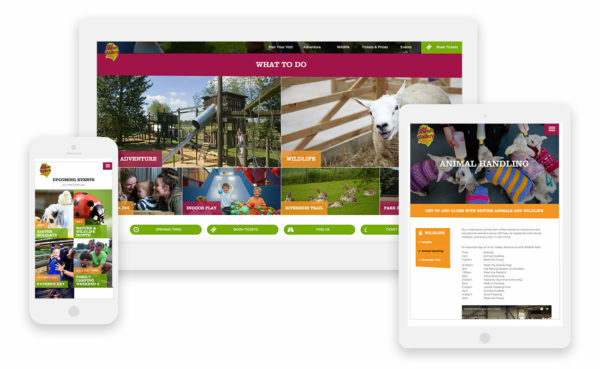 Avon Valley Adventure Park asked Boson to help revamp their original website, supporting a recent rebrand of their business. Our first task was to address mobile users. With such a high percentage of the traffic coming from mobile, Avon Valley’s new website was designed so visitors can find opening times and directions quickly and easily – on any device. 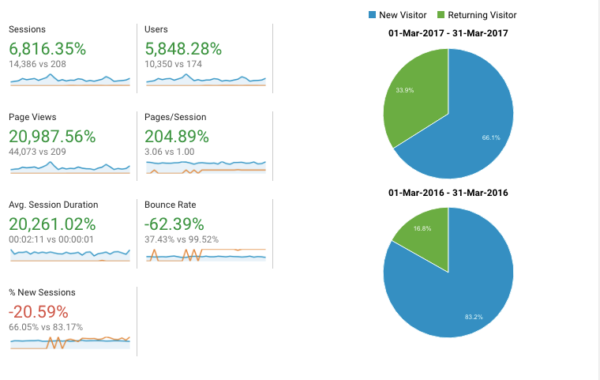 Here’s a comparison from March 2016 to March 2017, as you can see the visitors (or ‘users’), sessions, page views and the time spent on the website have all increased. Note that Page views increase from 209 to 44,073, which demonstrates how visitors are now engaging with the website content. Visitors are staying longer on the website too. On average a visitor spends 2 minutes and 11 seconds and, as a result the bounce rate has decreased considerably. Avon Valley now have a fun, interactive website that drives online ticket sales and directs visitors to the park. As one of the South West’s most popular family destinations, there’s always something fun going on at Avon Valley. With events happening throughout the year, including Santa’s Grotto and Halloween FEAR, people regularly visit the website for Avon Valley’s latest news and events. An effective user journey has been created. Important information such as directions, opening hours and contact details are easily accessible. The key unique selling point (USP) – that you can get up and close to the animals and wildlife – is made clear and obvious. Does your business face similar challenges? Are worried your website doesn’t reflect your business? Could your website deliver a better experience for mobile users? Our experienced team of web designers and programmers are busy helping our clients achieve real results. Perhaps they could they help you too?